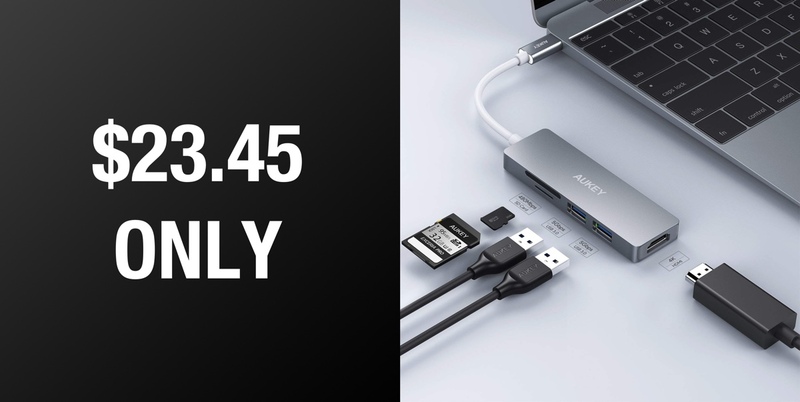 This wonderful and extremely useful AUKEY 5-in-1 hub is available to purchase via Amazon for the reduced price of $23.45. If you have recently brought a MacBook or Mac mini into your life, then this could be the accessory that could end a lot of your issues and transition issues. This handy little hub is going to come with the ability to magically turn a USB-C port on your laptop into five useful outputs. Well, it’s not really magic in all honesty, it’s just good design and engineering. The hub will offer a 4K HDMI port, two USB 3.1 Gen 1 (USB 3.0) ports, SD card slot, and microSD card slot that lets you connect multiple different devices to your machine as well as read and write data to and from a memory card thanks to two of the slots. It offers an HDMI port which outputs resolutions up to 4K@30Hz to connected devices. It has fast data transfer via the two USB 3.1 Gen 1 ports. The SD and microSD card slots transfer data at up to 480Mbps. And the hardware itself comes with a premium physical product design fashioned and crafted from aluminum alloy which makes it robust and lightweight and perfect to take on the road when traveling. A definite must-have for anyone with one of Apple’s new Mac models which essentially mess up everyone’s accessories and devices which are already owned but which can not be directly used with the hardware. Have you been convinced? 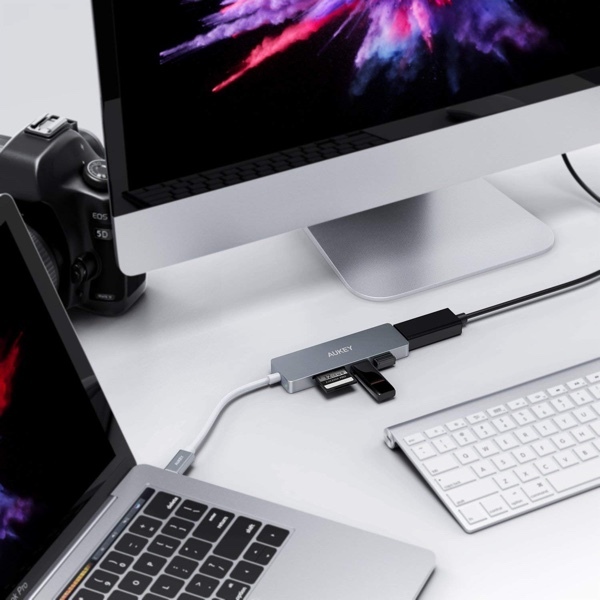 Has moving away from your usual laptop to a brand new MacBook Pro with only USB-C ports convinced you that you need an adapter like this in your life? If so, then it makes sense to purchase this with immediate effect as it’s extremely useful, highly versatile and will come for a limited time at a reduced price of just $23.45. That extremely small price is going to unlock a massive amount of functionality all built directly into a lasting and well-designed tech-based accessory. Grab it right now from the direct product link below and make sure to take note of the associated discount code. “The promotional code you entered cannot be applied to your purchase.” It seems like every single time I try and order something you advertise as on sale, I get the same error.